I spent nine months vagabonding around the world with my laptop in tow. These are my lessons. 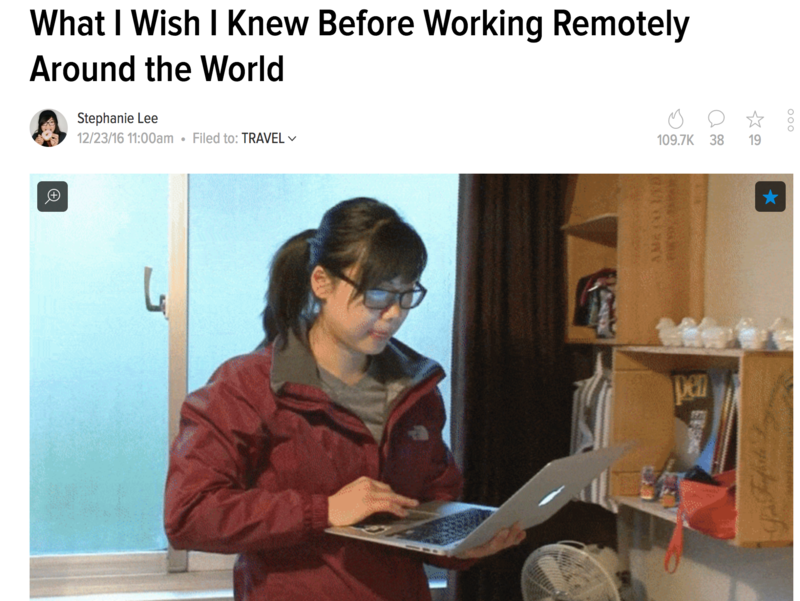 Article at a glance: This was written during my first year of working out of my laptop in eight different countries. Very quickly the downsides of this lifestyle made themselves clearer and clearer, which affected me not only physically, but also emotionally and mentally. How the article got published: I had been a freelancer contributing three to six articles per week for Lifehacker for the last year and a half at the time. I constantly needed new material, and that in and of itself was one of my challenges while working and traveling.